Last month we were hosting our first Permaculture Internship – Permaculture through the heart at Jiwa Damai. This innovative program blends the core principles of tropical Permaculture gardening with Self exploration from a transpersonal psychological perspective. The internship is a combination of personal growth processes, allowing our heart energy to flow into our work with the earth, environment, water, soil, plants and people. This program is the first of its kind, working with the psychological framework of the mind, theoretical Permaculture principles, design and planning, planting, harvesting and food preparation - all in alignment with the heart energy. Participants came from Germany, Switzerland, France, Canada, Ireland, Indonesia and Australia to participate in the first two weeks. Some of the participants stayed on for the complete 4 weeks training. On this picture we see our participants with Ketut Badung, our head gardener at Jiwa Damai, studying the healing qualities of the indigenous Balinese healing plants. 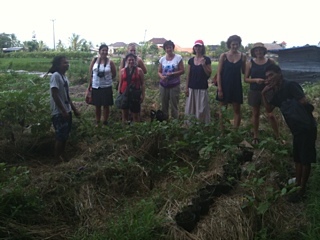 Here we see the group during a field trip visiting an organic producer on Bali studying an organic way of planting and watering. This picture is taken during the 2nd week, which focused on Unfolding the Heart Quality. Participants explore and study the personality as an interactive system, becoming acquainted with their own inner dynamics and peace potential by allowing the qualities of the heart to unfold. The 2nd Permaculture internship will take place in September 2013. Come join us on Bali! 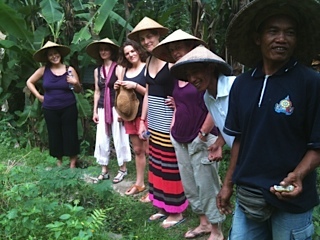 Recently we had a group of 30 russian ladies staying at Jiwa Damai for 10 days. The ladies chose our retreat to be the location for their Mandala Workshop on Bali. This particular workshop was about embracing your femininity. The russian ladies in their beautiful colored clothes, mostly long skirts, spent their time at Jiwa Damai meditating and walking through our gardens and among the palm forest. Most came directly for Russia and enjoyed the workshop and Bali very much. We at Jiwa Damai got excellent feedback on the beauty and serenity of the place and the excellent organic, mostly vegetarian cuisine we were able to provide. The language barrier was actually fun, since very few spoke little English. Thanxs for staying at Jiwa Damai! The seminar "Aligning with the song of the earth" provides a space where a deep connection with one's own heart and the heart of the earth unfolds. An alignment with the own potential and the potential of the earth in her present process of transformation takes place. A profound acceptance is needed, to see the symptoms of her movements as change. To align deeply with the heart of the earth and welcome the new. Everyone interested is very welcome to join ! Experience 7 days of yoga and meditation in a very peaceful and relaxing environment, on an organic farm in the heart of Bali. 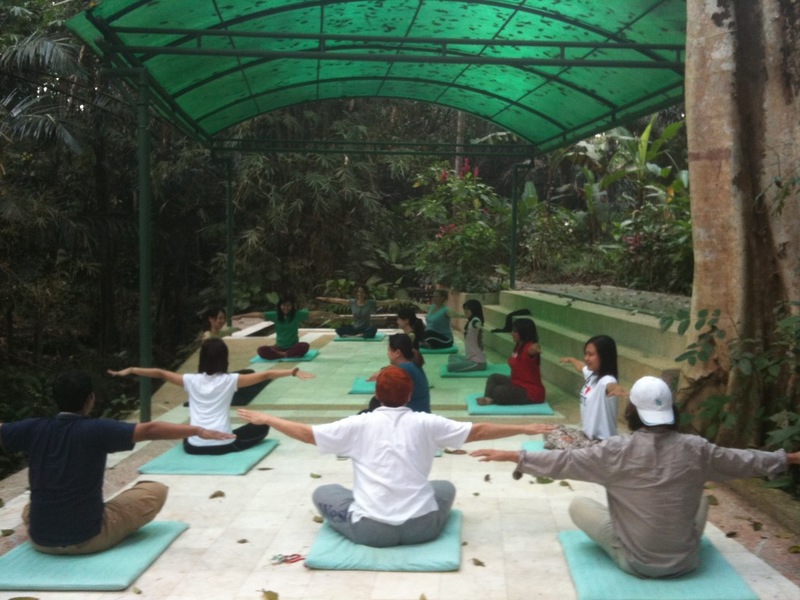 Jiwa Damai is a hands-on, socially responsible organic garden and retreat center. 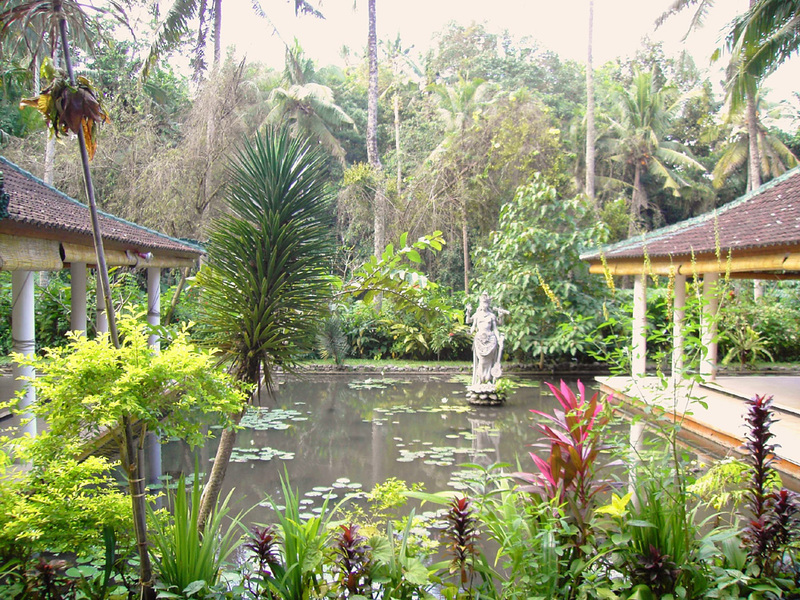 We are located amidst lush tropical vegetation in the heart of Bali (20 mins from Ubud). Sign up with your email address to receive our bi-monthly newsletter.